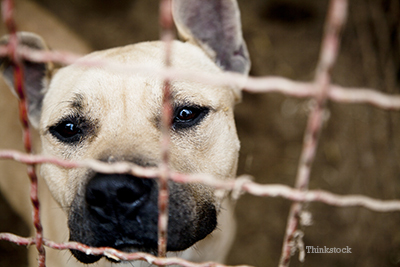 Dr. Ruth MacPete debunks common myths about shelter dogs (and cats). For more from Dr. MacPete, find her on Facebook or at www.drruthpetvet.com! October is “Adopt-A-Shelter-Dog” month! Besides being a great way to get your next dog (or cat), adopting from the shelter gives a deserving animal a loving home. Unfortunately, many people don’t adopt from the shelter because of common misconceptions. In order to shed light on this problem and help dispel these fallacies, I have listed the most common myths about shelter animals. Many people believe that the only animals found at the shelter are mixed breeds. While mixed breed dogs and cats make-up a sizable portion of the shelter population, many are unaware that shelters have dogs and cats of all types. If you are looking for a purebred, you can find Chihuahuas, Beagles, Labradors, and my favorite, Boxers, to name a few. Of course, you can also find adorable mixes that span the colorful canine rainbow. The same is true for cats. You can find black, white, gray, tabby, calico mixed breeds, and even purebreds like Siamese, Persian, and others. For example, in the past year, my local shelter had two Devon Rex cats (in case you aren’t familiar with the breed, the Devon Rex is a rare English breed of curly-haired cats)! No matter what you are looking for, whether it is a purebred or an adorable mixed-breed, you can find the perfect companion at a shelter if you just look! Another common belief is that shelters only have adult animals. The truth is that you can find dogs and cats of all ages, from puppies and kittens all the way to mature animals. While puppies and kittens are cute and playful, they are definitely not for everyone. People forget that puppies require a lot of training and socialization in order to become well-mannered adults. Adult and mature dogs, on the other hand, sometimes come already housebroken and trained. The take home point is that shelters have animals of all ages so it should be easy to find the right animal for your family.